Start Point Lighthouse is a fascinating place for a school, group or society to visit. It has welcomed many groups over the years from Scouts and Brownies to the WI, history groups, walkers and the Lighthouse Keepers Association. The lighthouse has even proved to be a wonderful setting for several successful marriage proposals! The Lighthouse can accommodate groups of up to 20 on each tour. If your group is larger, it will need to be split in two. 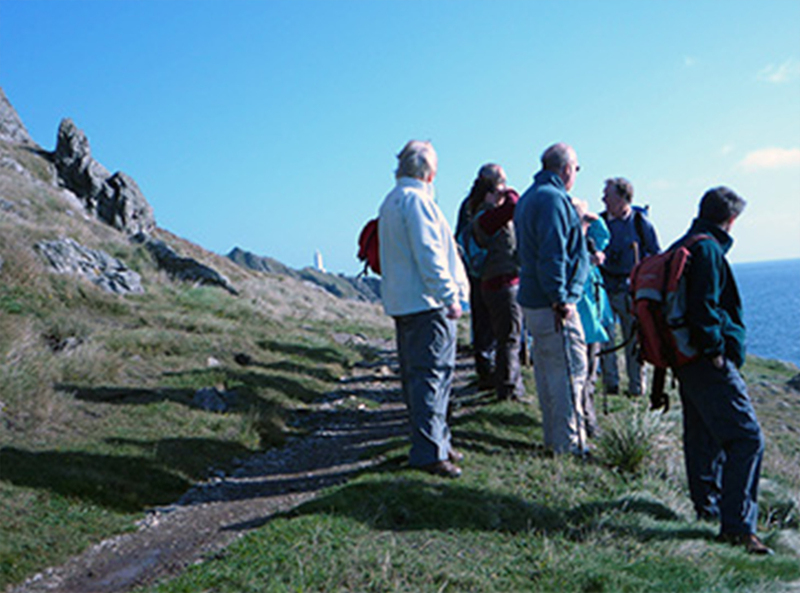 We are able to tailor our tours to suit your groups’ specific interests such as history, wildlife, marine or smuggling, so please let us know what you are interested in when booking. The charges for guided group tours are the normal entry prices of £5 per adult and £3 per child; if you are an educational or school group and you make one payment, two teachers and one in ten students will be FOC. All private group bookings are subject to a minimum charge of £40 and are carried out during times we are closed to the general public, i.e., not during advertised open times. It is around a 20 minute scenic walk from the Start Point Car Park (charges apply in the season) down to the Lighthouse. Please email us on info@startpointdevon.co.uk for further details and a booking form.